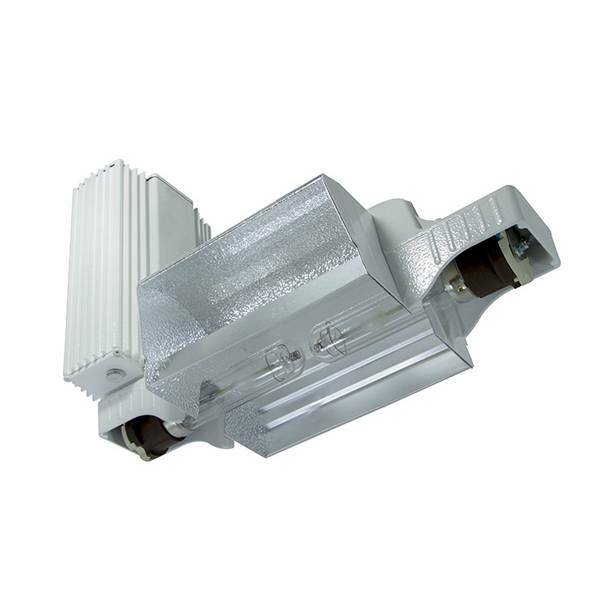 D-Papillon 630W Electronic Dimmerable Ballast with Philips GreenPower CMH lamp: the latest model Luminaire from Philips for professional Horticulture. Philips answer to the full spectrum PLASMA lamps. Much more reliable, more efficient and more light per watt than LED, Plasma and conventional lamps. Equipped with a digital ballast and an open high efficiency reflector made from highly reflective aluminium VEGA. Complete with revolutionary Philips GreenPower & Daylight full spectrum globes. The Philips GreenPower and Daylight grow lamps are full spectrum lamps that irradiate the farred and UV spectrum. The D-Papillon Fixture consists of an Ultra durable electronic ballast which has a 50.000 hours average rated life. The average rated life of the GreenPower and Daylight bulbs are 16.000 hours with 80% lightoutput remaining. The Daylight lamp is optimized in a broad spectrum growthlight with an increased share of blue light. The lamp can be used for the growth stage of the plant. 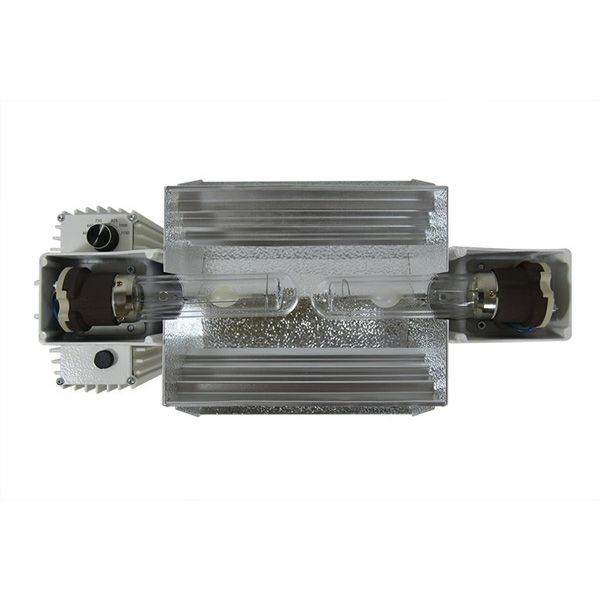 The GreenPower lamp is optimized in a broad spectrum with a peak in the 1200nm DeepRed area. Because of the peak in the 660nm DeepRed area results makes the plant more generative which results in a stronger bloom of the plant in the flowering stage.